Kingston Digital, Inc., the Flash memory affiliate of Kingston Technology Company, Inc., the independent world leader in memory products, today announced that it has finalized the integration plans for IronKey™. As a leader in the USB Flash drive market since 2004, Kingston® will utilize its IronKey product line to deliver FIPS 140-2 Level 3 certification solutions for customers who need the highest level of encryption and security. Kingston will ensure a smooth transition for existing IronKey customers and will work with its collective partners to enable access to sales and technical support, plus access to Kingston’s world-class product and service resources. 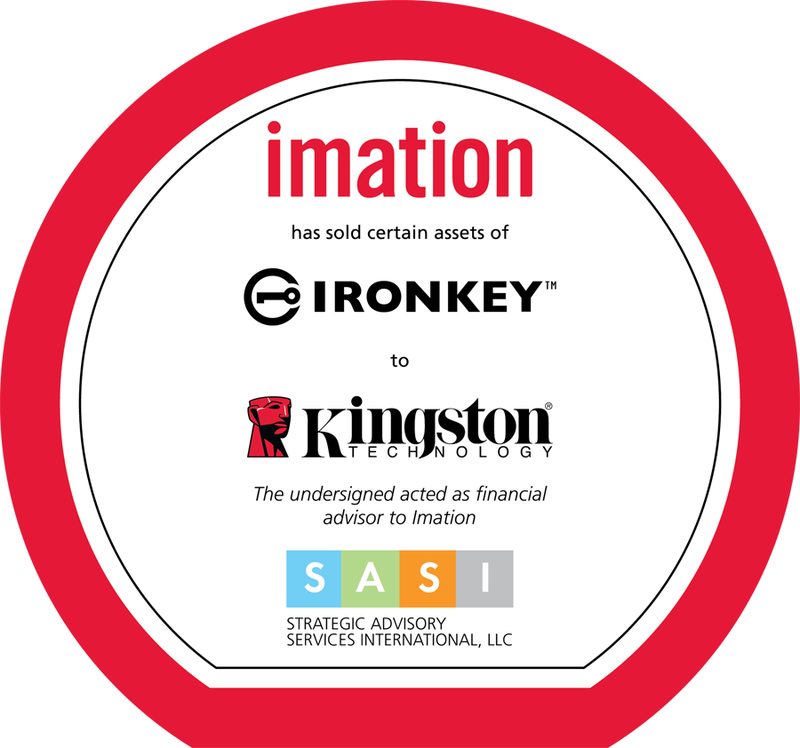 Strategic Advisory Services International, LLC (SASI) Advises Imation in the Sale of IronKey Assets to Kingston Digital and DataLocker. SASI served as exclusive financial advisor to Imation and drove the process forward from approach strategies, negotiations, and due diligence through final closing documents. In the transactions, Kingston Digital acquired the USB technology and assets. Simultaneously, Imation sold IronKey Enterprise Management Services (EMS) assets to DataLocker. Keys to success included managing two due diligence processes under a tight timeframe, negotiating two sets of agreements and working with the two parties on detailed integration plans.